Khloe Kardashian is allegedly confused as to what to do following her boyfriend Tristan Thompson's alleged cheating scandal. The 33-year-old reality star and her NBA star beau welcomed their first child, a daughter named True, into the world almost two weeks ago, but just days before her birth their relationship was put under strain when a video emerged seemingly depicting Tristan leaning in for a kiss with a mystery woman. 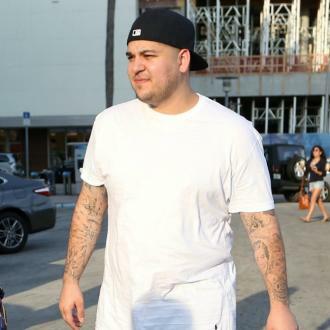 Now, sources have claimed that Khloe is not in ''denial'' about the situation, but isn't sure what to do, as she's still trying to ''process'' the allegations. An insider said: ''She's not in a bubble of denial. She knows what's going on and is still trying to process it, but so far, she's managed to move past it and look forward. The allegations against Tristan have reportedly caused the 'Keeping Up with the Kardashians' star's family and friends to become concerned, but sources say they don't want to approach Khloe about them for fear of being ''cut off by her''. The source added to 'Entertainment Tonight': ''Her friends and family are learning all these new details and it's hard to know what's just someone trying to cash in and what is true. It's tough to know what, if anything, to tell Khloe. Meanwhile, it was recently revealed that Khloe still ''loves'' Tristan, 27, but is focusing her energy on their daughter.